Spring has definitely sprung with The Rug Shop UK Spring Sale. Our exclusive limited time offer of 20% off all our rug ranges means your interiors will blossom this spring. Whether you want to add some floral focus with a designer rug or something fresh and funky with a modern rug The Rug Shop UK has a rug just for you. 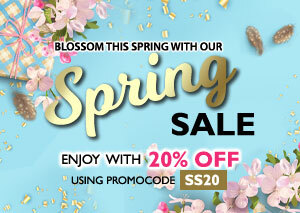 Shop now with your exclusive discount code SS20. Explore our full range here.